Tourists Discover The Modern Attraction Of Ancient Iran Iran is experiencing a tourism boom. Travel agencies in the U.S. say they are planning more trips to the Islamic Republic. Kamin Mohammadi, an Iranian-born travel writer, shares some favorite places. 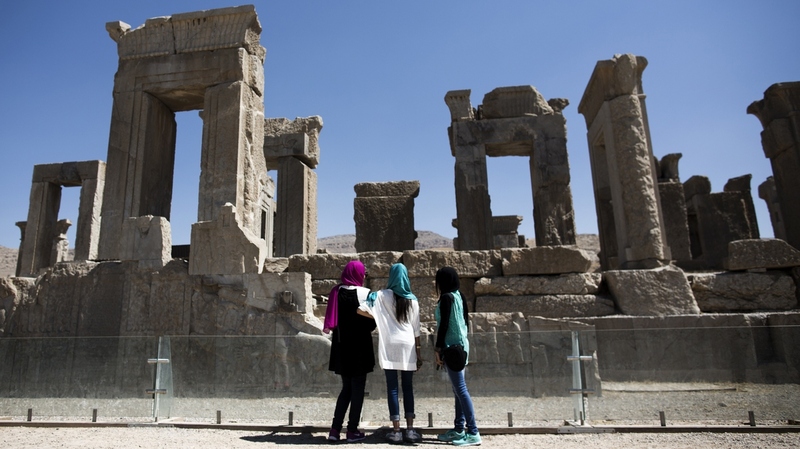 Iranian women look at the palace of King Darius of Achaemenid Persepolis, near Shiraz in southern Iran. Iran is in the middle of a tourism boom. American travel agencies say they are planning more trips to the Islamic Republic. Officials in Iran say they are issuing more tourism visas, and spending by foreign visitors is up. Of course, that's not Iran's reputation. With neighbors Iraq, Afghanistan and Syria, the U.S. State Department says American visitors should be aware of the risks. And indeed, Iran's border areas can be very dangerous. But Kahmin Mohammadi, an Iranian-born journalist and travel writer, says if you stay away from those regions, you'll find a warm welcome. Most Western visitors travel to Iran on a tour, which typically starts in Tehran. But beyond the capital city, she recommends the city of Esfahan, with some of the most exquisite mosques in the world. "You can't go wrong with Esfahan," Mohammadi tells NPR's Ari Shapiro. "We have a medieval mosque, for example, called Monar Jonban, which has two minarets," she says. Monar Jonban means "shaking minarets." If you climb up in one minaret, wedge your legs against one end and wiggle, it moves with you. It has for centuries. Water gurgles throughout the gardens of the Abbasi Hotel in Esfahan. Mohammadi also recommends Esfahan for what she calls "the quintessential Persian experience": tea at the Abbasi Hotel. 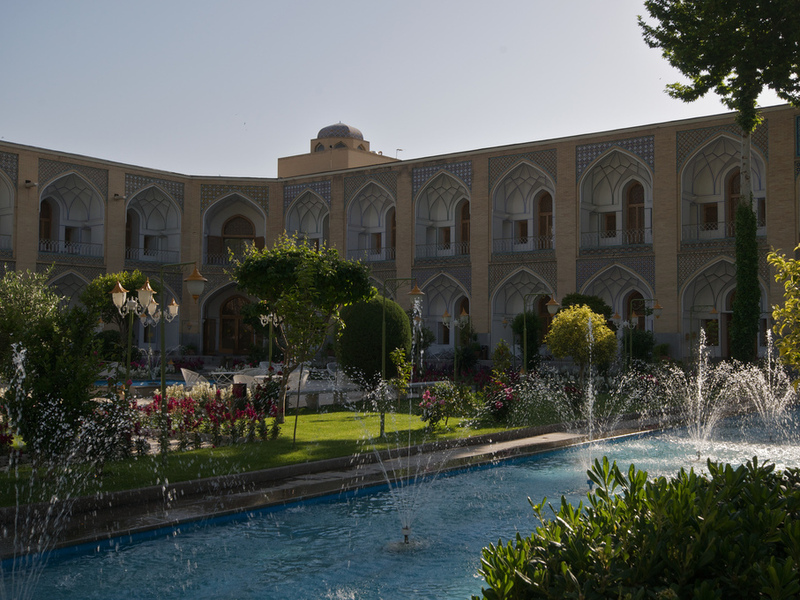 "Lounge back against Persian carpet-covered cushions ... with the fountain tinkling and a nightingale singing" to really soak in the culture, she says. Another must-see is Shiraz, outside Persepolis, the 6th century B.C. palace and capital of the ancient Persian kings. "One of our great Persian kings, Darius, is actually mentioned in the bible for freeing the Jews from slavery ... in fact, the [ancient] Persian empire was known for being very tolerant," Mohammadi says. "That's something ... that we tend not to know about Iran, how much religious tolerance there is."